Over the years, 1st Mate Vicki and I have several clients who have become friends. One client in particular is Dr. Tom O’ Connor, his three son’s, Dan, William, Andrew, daughter Maurine (Moe) and of course the grandchildren. I had the pleasure to take all of them fishing this year. 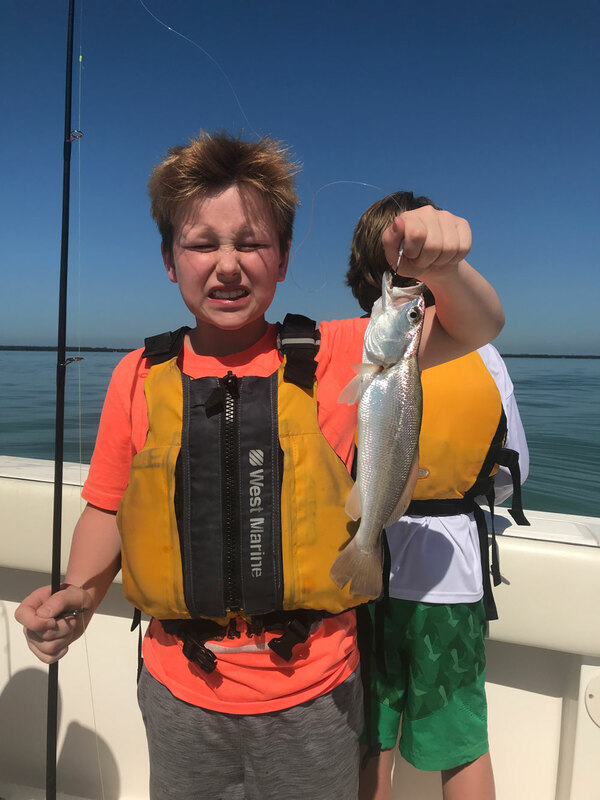 They are perfect examples of the fun and bond that a close family can enjoy boating, dining and fishing the beautiful waters of SW Florida. 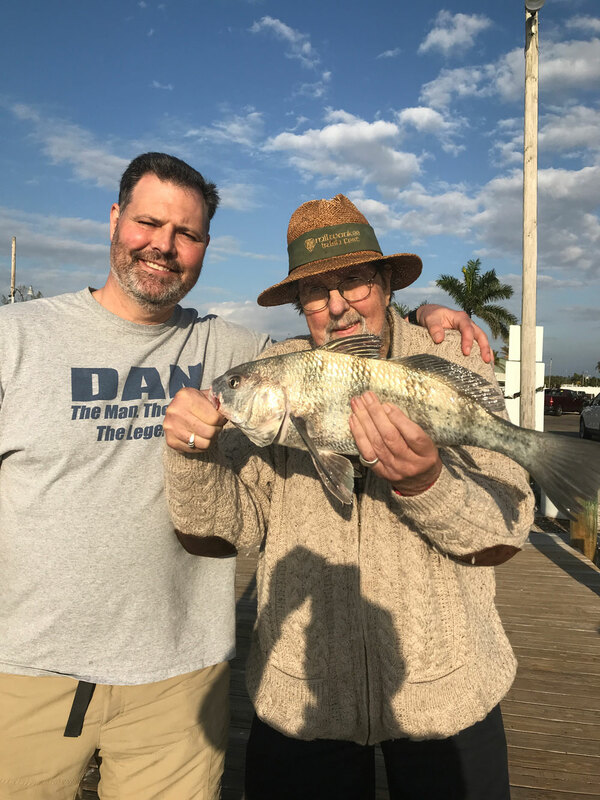 Tom, his oldest son Dan O’ Connor, of Mequon, Wisconsin are pictured together holding a Redfish and Black Drum, caught on one of five ‘family’ outings last February. This ‘family’ loves to fish and good at it. Great going Tom and Dan! You guys always keep me on my ‘toes’ to try and better every fishing trip. Additionally, 5 years ago I had the pleasure of taking two ‘little’ fishermen from Uxbridge, Ontario on a fishing trip. I was so impressed with their abilities of handling spinning gear (including casting) and landing fish, that I featured photos on them on Fish Face Charter’s brochures. Riley Reed and Hudson Reed were only 6 and 5 years old respectively. 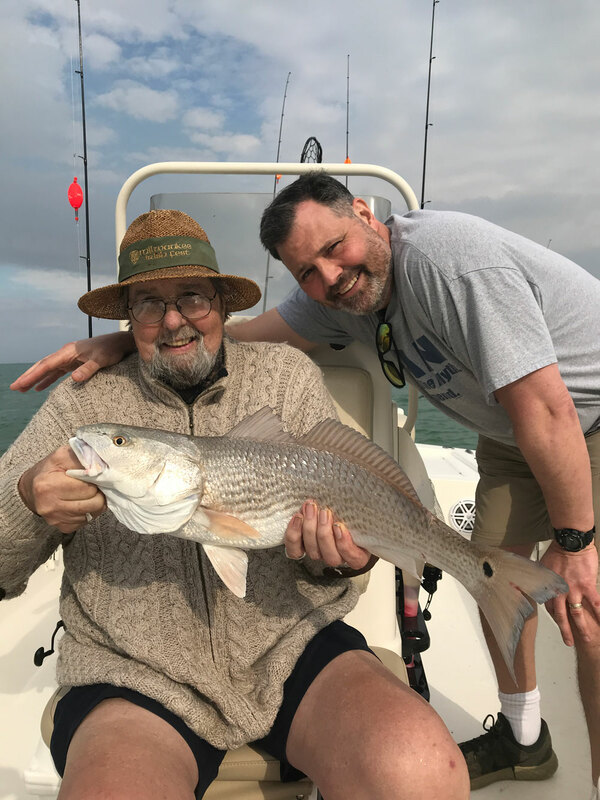 It was only recently that grandfather Phil Comartin of Finland Falls, Ontario, contacted me to take them again, but his time on his vessel, so as to mark locations that they would catch fish, during the balance of their vacation. Riley and Hudson are each pictured respectively with one of their numerous catches of the day. I am looking forward to seeing them again soon. They are persistent, diehard fishing ‘buddies’ of mine and are very good at it. Great job boys. Looking forward to doing it again on your next vacation to Florida! Take care until next time! Last week I had the pleasure of taking out three ladies from the Denver, Colorado area. Karen Philips, sister of a good client and friend of mine (Mike Aden, guide from Cody, Wyoming), fished with Mike and I last year. 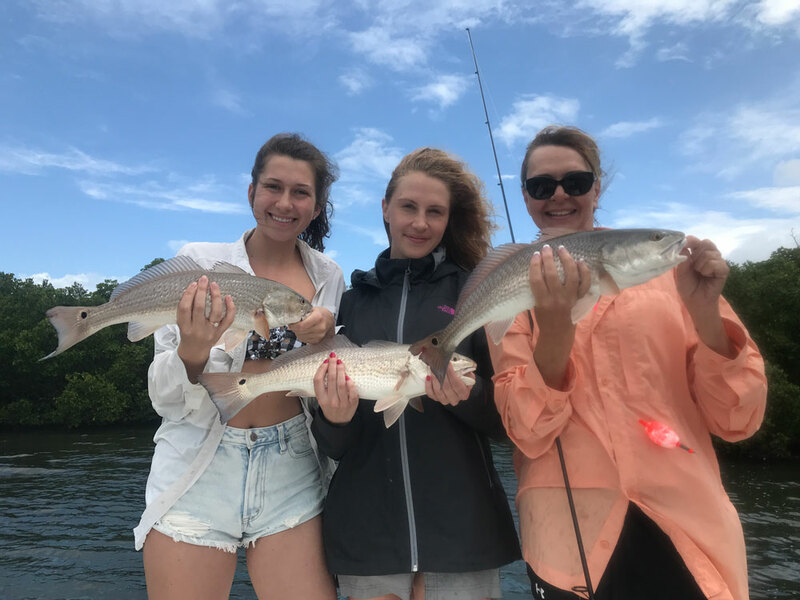 This time her two daughters, Kaeberie and McKenna were aboard FISH FACE II for a day of fishing, dining and beaching. 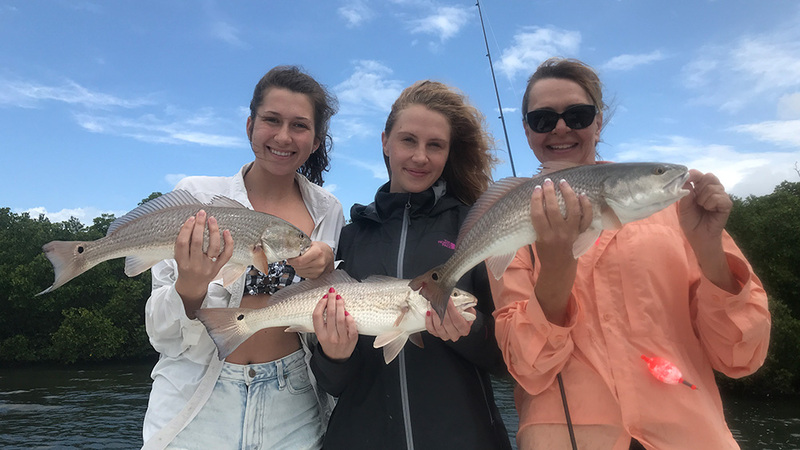 They are all pictured together with their Redfish, all caught before 11 am, allowing plenty of time for the balance of activities. Great job lady anglers! Looking forward to seeing you next year! Fishing is really good. Offshore; Tarpon, Kingfish, Grouper, Permit, snapper and abound. 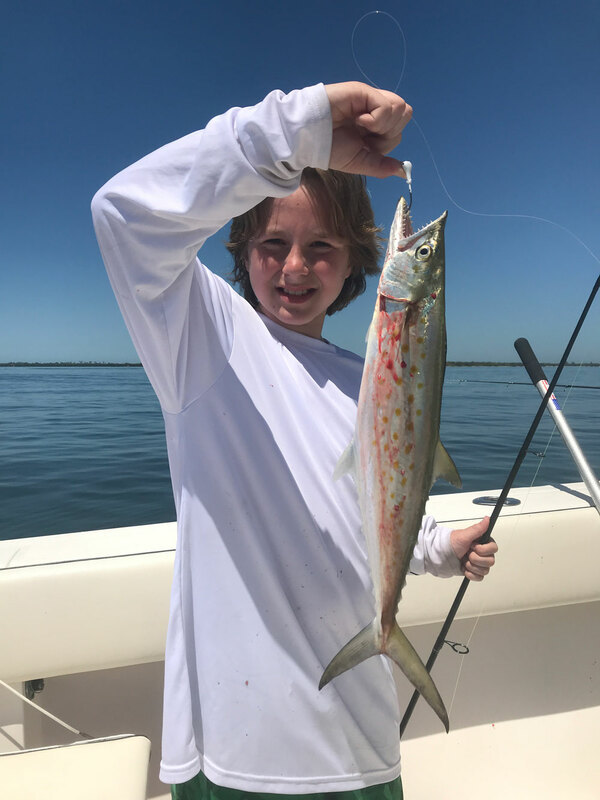 Inshore; tarpon, Spanish Mackerel, Trout, Redfish and Snook are all active. However, due to weather patterns, I recommend fishing in the mornings to beat the afternoon rains. This is Captain Terry Fisher of Fish Face Charters wishing everyone fun times and good fishing on the water. I am also available as ‘Captain for Hire’ on your vessel (by the hour) for safety, navigation, fishing techniques and locations that will make your every trip a success. Call me at 239-357-6829 or email me at fishfacecharters@yahoo.com to schedule a charter. Check out the website at www.fishfacecharters.com for more information.